Directions: 400 N. Exit Old Milton Parkway (#10). Turn RT. Go 4.5 miles to E. Morton Road. LT E. Morton Road. Merrimont is on the Left. 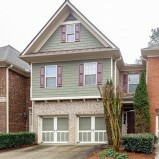 Summary: Move-in Ready Townhome in sought after Merrimont gated community. Hardwoods throughout the main floor. 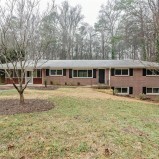 Fully finished basement features bedroom, 1 full bath & bonus/media room (possible 5th bedroom). Good sized bedrooms, all with oversized closets. Professionally managed. Easy application process. Owner pays monthly HOA dues. Virtually no maintenance. No Pets. No Smokers. No exceptions. Directions: From Dallas Acworth Hwy turn into subdivision. 1st RT. Home on RT. Descriptive Information: Open and flooring floor plan. New hardwoods entire main. Bedroom on main with full bath plus 4 more bedrooms upstairs. Huge Bonus room or media room. Formal Living, Dining and Family Rooms. Large eat-in kitchen with island. Tons of kitchen cabinets and counter-top space. Location, Location, Location. Walk to shopping, restaurants, entertainment & More. Directions: Northbound on 75. Exit Windy Hill Turn RT. LT Powers Ferry. LT Terrell Mill. Subdivision on LT.
Summary: Location, Location, Location. Great Value. 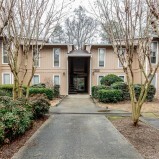 2 bedroom, 2 full bath open floorplan. Refrigerator, Washer & Dryer remain. Easy application process. No pets. No smokers. Roommates have to individually qualify. No exceptions. Directions: From Marietta Hwy (120) RT East Paulding Drive. Cross Dallas Acworth Hwy. RT Ivey Gulledge. Subdivision on LT. Home on LT.
Descriptive Information: This is the one you have been waiting for. Massive fully upgraded basement rancher with everything. Fully finished basement offers: 2 extra bedrooms, 2nd family room, media room, office, bonus room, exercise room, full bath, possible 6th bedroom & tons of storage. Vaulted ceilings on the main floor. Split bedroom plan (on other side of home from master). Master with separate huge sitting area. Kitchen recent added massive breakfast bar. Garage 7 steps from kitchen. Owners will purchase a 1 year warranty. No HOA.